In her #TNKidOfTheMonth submission, Marion wrote that being a TN Kid is "feeling part of a family: made up of people who are down to earth, care and love truly, and are sensible to creativity." Love that description. Better yet, below she explains how you - TN Kids - helped make her dream come true, paying for her trip to see the last The 20/20 Experience World Tour shows in Vegas! WOW. Impressive. Good luck TN Kids for next month's submissions! Details here! 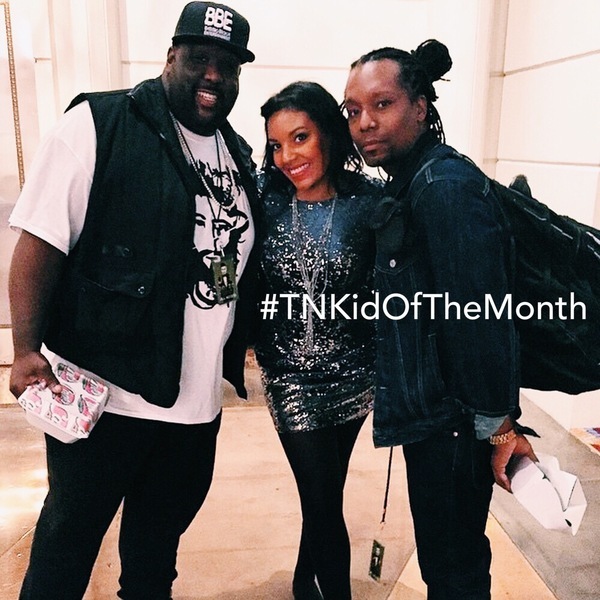 Have you met any other TNKids along the way? Got any stories to share? I didn't know other TN Kids from previous tours. When JT came to the Stade de France in Paris last year, I just brought my mom and my little brother - who already endured my passion for 12 years. I became more active on the social networks, and then this happened: I found people sharing the same passion as me! You, TN Kids, were always kind to us, and it really MADE this tour The 20/20 Experience. The love and the energy I felt surrounded by those TN Kids pushed me to realize one of my biggest dreams: to see JT on stage in the US. When I told a fellow fan she responded, "And what if we help you?" Guess what!? I built up a money pool online, and friends, family and TN Kids alike helped me to afford a trip to the last two shows of the tour in Vegas! I even flew from France to Vegas with one TN Kid I didn't even know five months earlier! Crazy, right? We had the BEST experience! At the end of the second to last show who could have imagined Andre Person, JT Family, would invite us to the finale? Definitly not me! From now on, I'll always believe in my dreams! Favorite moment from The 20/20 Experience World Tour? The very last performance of "Mirrors." Justin dropped his mic off and listened to his fans all singing together. Everyone was clapping their hands, crying, and smiling. I'll cherish that moment forever. If you could tell JT one thing what would it be? I find it inspiring that you always come up with something new. I admire your humility and work ethic. I am also sensible to your sense of humor. And last but not least, I love how caring you are. Thank you Justin! Thank you for all the good memories and friendships you made possible. I cant believe its happend salias came to our world i so exiting!! really i crying! Justin & Jess i love you so much and so exiting for you this is your first child i know its was going to be a #Boy i love you and give you all my power inside me from my bottom from my heart i give all you need i love i dont care if i 100.000,000 milles from here i still help you becuse we are #JTFAM we helping you whatever you need we give you all of our harts. Jess i love you so much your Incredible women! Your going to be a amazing mom take care for your baby give all of your love i think you know to this. Justin what i need to say i think you ready to be a father your amzing man and you have the bast wife in the world you a baby now save him fron any problem take care of him give him all of your love and all he needs. I want to give my congrats to the girls who helped her raise the money so she can go to that concert. Very thoughtful of them.